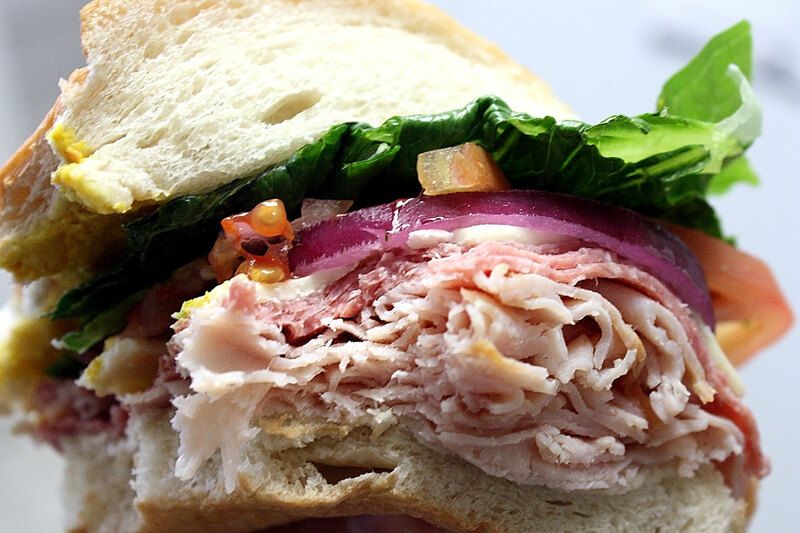 Super thick piles of freshly sliced turkey, layers of salami, crisp lettuce, tomatoes and onion, all on a super soft hunk of white bread? Would you ever guess that this sandwich was from....Walmart???? I can hear the sound of your jaw dropping right now. 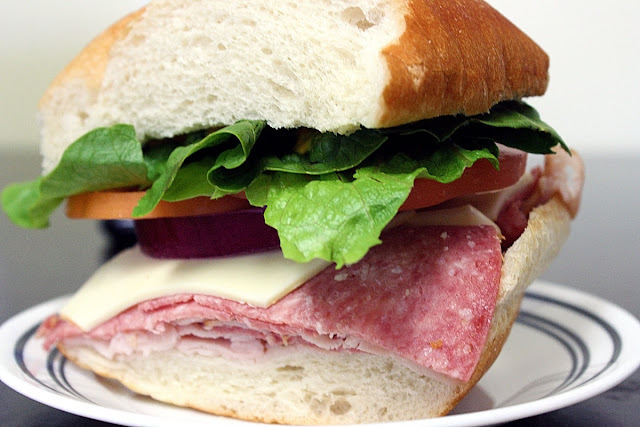 What We Ordered: Two 4-foot long sub sandwiches, one with turkey and salami, the other with turkey and roast beef. I'm not a huge Walmart fan in general, and I almost always go to Target instead, but the one thing Walmart does have going for them is their catered sub sandwiches. When you are looking to do something besides the ever-present pizza at an event and you are on a budget, these sandwiches are a relatively healthy and super low-cost option! They may even be cheaper than pizza (unless you're into those $5 disks of horror...). And the sandwiches are actually pretty good, as you can see from the pictures! It's not really a place to go out to eat, but I just thought I should share this with you because it's a great choice for catered events or even if you don't feel like cooking one night! This is not a sponsored post. I was just so surprised at the quality and cheapness that I had to share it with you all! I'm so going to order their sandwiches for birthday parties or what not! Thanks for sharing!